ABOVE: The living room of a vacation apartment in Cannaregio. Religious hostels. For information about religious hostels that offer low-cost rooms and dormitory beds to visitors, request a printed list of foresterie at the Venice Tourist Office. The headquarters office is in a white building on the San Marco waterfront (near the main San Marco vaporetto stop). You'll also find smaller branches in the railroad station, on the Piazzale Roma, and in the passage at the narrow end of the Piazza San Marco. Youth hostel. The Generator Hostel (formerly the Ostello della Gioventù Venezia) is located on Giudecca, several minutes by water bus from Venice's main attractions. The view is great and the prices are reasonable, but the hostel is jammed in summer--and the short vaporetto ride across the Giudecca Canal isn't cheap. Camping. See Hostels/Convents/Camping for links, or visit the tourist office for a current list of campgrounds. Unfortunately, most camping around Venice is in the suburbs. The best location is on the Lido at San Nicolò, but you'll need an international camping card or a Rolling Venice card to stay there. An apartment. If you're staying in Venice for more than several days, you can rent anything from a sleeping room to a palazzo. The price for an attractively-furnished apartment is comparable to what you'd pay for a double room in a three-star hotel. 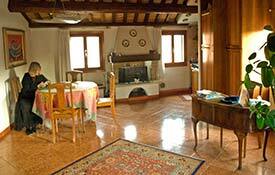 See our Venice Apartments/Self-Catering page for listings of specific properties.